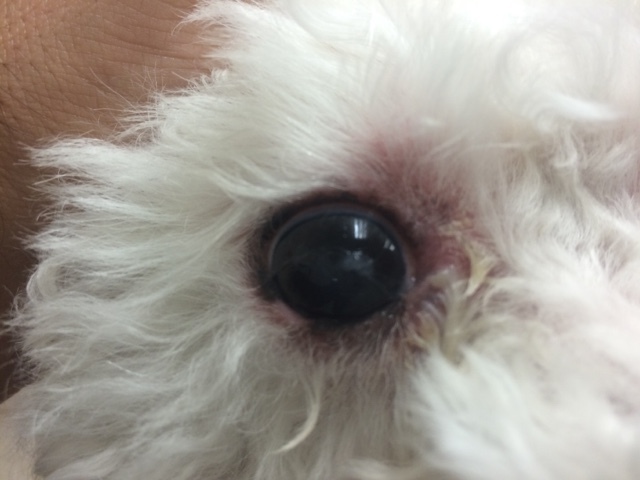 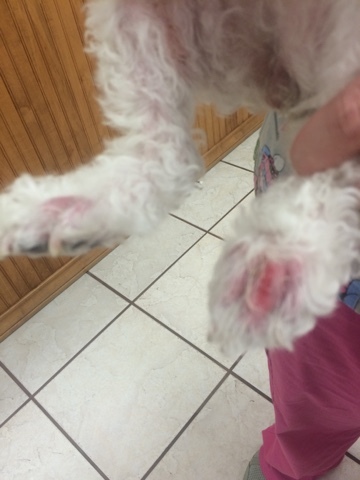 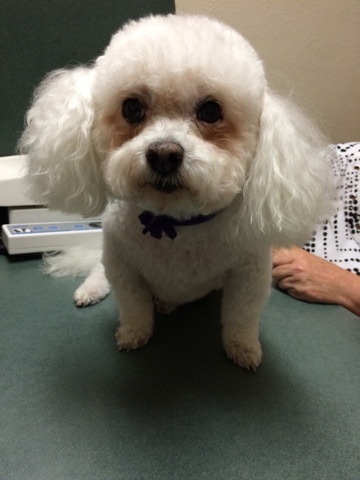 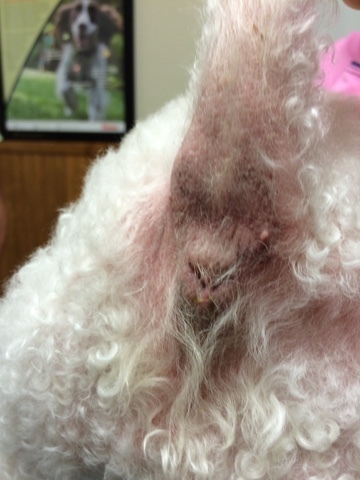 This is an older Bichon that came to Ingleside Animal Hospital for terrible skin infections with yeast. 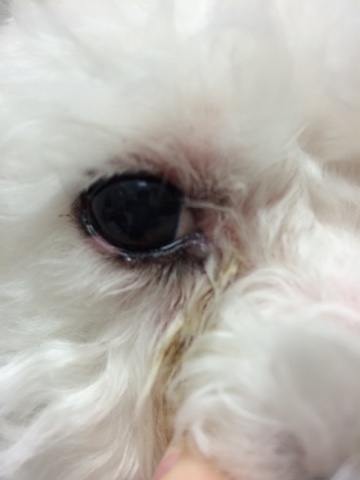 We treated the patient with antifungals and APOQUEL, the new drug for skin allergies made by Zoetis, a vet supply company. 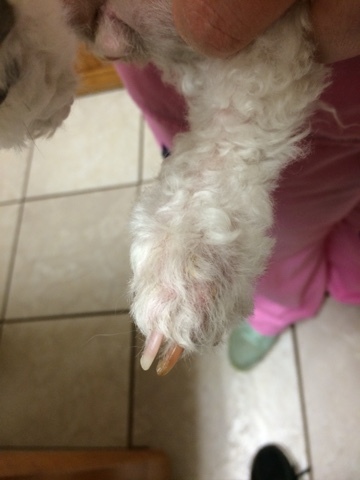 Look at the before and after results.